Oct. 12, 2018, 9:30 a.m.
By Rachel Glickhouse Oct. 12, 2018, 9:30 a.m. In this ever-changing industry, new roles are emerging that redefine how we do journalism: audience engagement director, social newsgathering reporter, Snapchat video producer. At ProPublica, I’ve been part of developing a new role for our newsroom. My title is partner manager, and I lead a large-scale collaboration: Documenting Hate, an investigative project to track and report on hate crimes and bias incidents. ProPublica regularly collects large amounts of information that we can’t process by ourselves, including documents gathered in our reporting, tips solicited by our engagement journalists, and data published in our news applications. Since the beginning, we’ve seen collaboration as a key way to make sure that all of this reporting material can be used to fulfill our mission: to make an impact in the real world. Collaboration has been a fundamental part of ProPublica’s journalism model. We make our stories available to republish for free through Creative Commons and usually co-publish or co-report stories with other news outlets. When it comes to large data sets, we often offer up our findings to journalists or the public to enable new reporting. It’s a way of spreading the wealth, so to speak. Collaborations are typically a core responsibility of each editor in the newsroom, but some of our projects have large-scale collaborations at their center, and they require dedicated and sustained attention. My role emerged after Electionland 2016, one of the largest-ever journalism collaborations, which many ProPublica staff members pitched in to organize. While the project was a journalistic success, its editors learned a key lesson about the need for somebody to own the relationship with partner newsrooms. In short, we came to think that the collaboration itself was something that needed editing, including recruiting partners, making sure they saw the reporting tips they needed to see, and tracking what partners were publishing. It also reinforced the need for a more strategic tip-sharing approach after the success of large engagement projects, like Lost Mothers and Agent Orange, which garnered thousands of leads — and more stories than we had time to tell. Our newsroom isn’t alone in dedicating resources to this type of role. Other investigative organizations, such as Reveal from the Center for Investigative Reporting and the International Consortium of Investigative Journalists, staffed up to support their collaborations. Heather Bryant — who founded Project Facet, which helps newsrooms work together — told me there are at least 10 others who manage long-term collaborations at newsrooms across the country, from Alaska to Texas to Pennsylvania. My job is a hybrid of roles: reporter, editor, researcher, social media producer, recruiter, trainer, and project manager. I recruited our coalition of newsrooms, and I vet and onboard partners. To date, we have more than 150 national and local newsrooms signed on to the project, plus nearly 20 college newspapers. I speak to a contact at each newsroom before they join, and then I provide them with the materials they need to work on the project. I’ve written training materials and conduct online training sessions so new partners can get started more quickly. The core of this project is a shared database of tips about hate incidents that we source from the public. For large collaborations like Documenting Hate and Electionland, our developer Ken Schwencke builds these private central repositories, which are connected directly to our tip submission form. We use Screendoor, a form-building service, to host the tip form. In large-scale collaborations, we invite media organizations to be part of the newsgathering process. For Documenting Hate, we ask partners to embed this tip submission form to help us gather story leads. That way, we can harness the power of different audiences around the country, from Los Angeles Times readers, to Minnesota Public Radio listeners, to Univision viewers. At ProPublica, we try to talk about the project as much as we can in the media and at conferences to spread the word to both potential tipsters and partners. The tips we gather are available to participating journalists — helping them to do their job and produce stories they might otherwise not have found. ProPublica and our partners have reported more than 160 stories, including pieces about hate in schools, on public transportation and on the road, in the workplace, and at places of worship, and incidents involving the president’s name and policies, to name just a few. Plus, each authenticated tip acts as a stepping stone for other partners to build on their reporting. At ProPublica, we’ve been gathering lots of public records from police on hate crimes to do our own reporting and sharing those records with partners, too. Any time we produce an investigation in-house, I share the information we have available so reporters can republish or localize the story. As partner manager, I’m a human resource to share knowledge. I’ve built expertise in the hate beat and serve as a kind of research desk for our network, pointing reporters to sources and experts. I host a webinar or training once a month to help reporters understand the project or to build this beat, and I send out a weekly internal newsletter. Another part of my job is being an air-traffic controller, sending out incoming tips to reporters who might be interested and making sure that multiple people aren’t working on the same tip at the same time. This is especially important in a project like ours; given the sensitivity of the subject, we don’t want to scare off tipsters by having multiple reporters reach out at once. I pitch story ideas based on patterns I’ve identified to journalists who might want to dig further. I’m constantly researching leads to share with our network and with specific journalists working on relevant stories. And I’m also a signal booster: When partners publish reporting on hate, we share their work on our social channels to make sure these stories get as big an audience as possible. We keep track of all of the stories that were reported with sourcing from the project to make them available in one place. While the Documenting Hate project has produced some incredible work, this is not an easy job. Many journalists are eager to work with ProPublica, but not always with each other; it can be a process to get buy-in from editors to collaborate with a network of newsrooms, especially at large ones where there are layers of hierarchy. 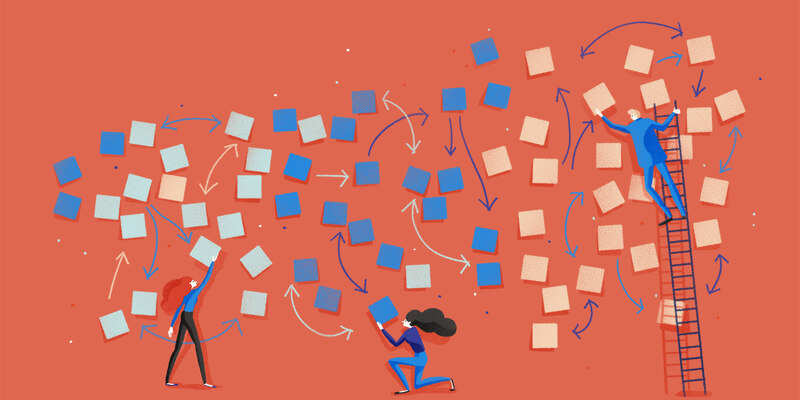 Some reporters agree to join but don’t make it all the way through onboarding, which involves several steps that may require help from others in their newsrooms. Some explore the database and don’t see anything they want to follow up on right away, and then lose interest. And occasionally journalists are so overwhelmed with their day-to-day work that I rarely hear back from them after they’ve joined. Turnover and layoffs, which are depressingly common in our industry, mean having to find and onboard new contacts in partner newsrooms, or relying on bounce-back emails to figure out who’s left. It also means that sometimes engaged reporters move into positions at new companies where they don’t cover hate, leaving a gap in their old newsrooms. A relentless news cycle doesn’t help, either. For example, after the 2017 violence in Charlottesville, Virginia, caused a renewed surge in interest in the hate beat, a series of deadly hurricanes hit, drawing a number of reporters onto the natural disaster beat for a time. And because of the sensitivity of the incidents, tipsters sometimes refuse to talk after they’ve written in, which can be discouraging for reporters. Getting a story may mean following up on a dozen tips rather than just one or two. Luckily, since we’ve received thousands of tips and hundreds of records, active participants in our coalition have found plenty of material to work on. While collaborations aren’t always easy, I believe projects like Documenting Hate are likely to be an important part of the future of journalism. Pooling resources and dividing and conquering on reporting can help save time and money, which are in increasingly short supply. Some partnerships are the fruit of necessity, linking small newsrooms in the same region or state, like Coast Alaska, or creating stronger ties between affiliates within a large network, like NPR. I think there’s huge potential for more local collaborations, especially with shrinking budgets and personnel. Other partnerships emerge out of opportunity, like the Panama Papers investigation, which was made possible by a massive document leak. If more newsrooms resisted the urge for exclusivity — a concept that matters far more to journalists than to the public — more partnerships could be built around data troves and leaks. Another area of potential is to band together to request and share public records or to pool funding for more expensive requests; these costs can prevent smaller newsrooms from doing larger investigations. I also think there’s a ton of opportunity to collaborate on specific topics and beats to share knowledge, best practices and reporting. With new partnerships comes the need for someone at the helm, navigating the ship. While many newsrooms’ finances are shrinking, any collaborative project can have a coordinator role baked into the budget. An ideal collaborations manager is a journalist who understands the day-to-day challenges of newsrooms, is fanatical about project management, is capable of sourcing and shaping stories, and can track the reach and impact of work that’s produced. We all benefit when we work together — helping us reach wider audiences, do deeper reporting and better serve the public with our journalism. 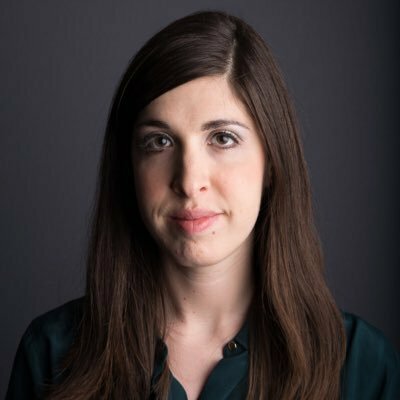 Rachel Glickhouse is a journalist and the partner manager for ProPublica’s Documenting Hate project. This piece is being co-published with ProPublica. Illustration by Giovanna Giuliano used under a Creative Commons license. POSTED Oct. 12, 2018, 9:30 a.m.
Glickhouse, Rachel. "Chasing leads and herding cats: How journalism’s latest job title — partner manager — works in ProPublica’s newsroom." Nieman Journalism Lab. Nieman Foundation for Journalism at Harvard, 12 Oct. 2018. Web. 24 Apr. 2019. Glickhouse, Rachel. "Chasing leads and herding cats: How journalism’s latest job title — partner manager — works in ProPublica’s newsroom." Nieman Journalism Lab. Last modified October 12, 2018. Accessed April 24, 2019. https://www.niemanlab.org/2018/10/chasing-leads-and-herding-cats-how-journalisms-latest-job-title-partner-manager-works-in-propublicas-newsroom/.